This blog post interrogates the effect of money in producing knowledge in post-conflict contexts and argues that it restricts independent local research. 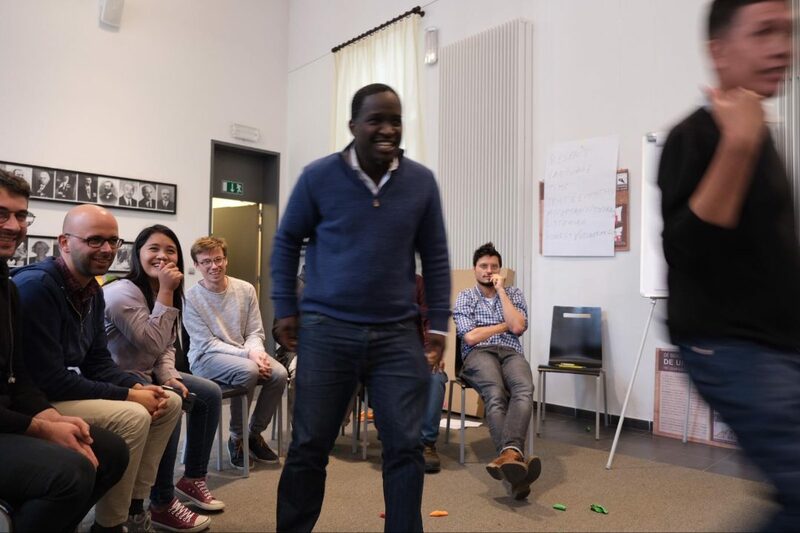 These insights were developed at a recent workshop at Ghent University, which brought together Ghent-based researchers and a group of researchers, commonly called "research assistants", from post-conflict and developing regions. Knowledge in decision-making is an important part of development and delivery of the Sustainable Development Goals (SDGs). Practitioners must constantly read and learn about the regions where they work, especially in conflict and post-conflict zones. Indeed, most funding agencies ask researchers to show how their work will have an impact in shaping policy or public debates. In order to make more informed decisions about development aid and humanitarian aid in conflict and post-conflict societies, academics, policy makers, and journalists travel to these communities to collect knowledge. To gather knowledge, they will almost always rely on local human resources to facilitate their research: a driver, a translator, security personnel, a fixer, a research assistant, sometimes all rolled into one. One of our colleagues from DRC recounts his experience working as a local researcher here. What separates the foreign "expert" from the local expert is, in part, money used in compensating their work. In order to facilitate swift access to information, the foreign researcher spends money into the research environment, thus creating a peculiar market for knowledge production. Local researchers, working in their own right, lack such resources and cannot compete. As avenues of knowledge production are foreclosed to them as independent researchers, they must then accept the role of research assistant as adjunct to the foreign researcher with money. 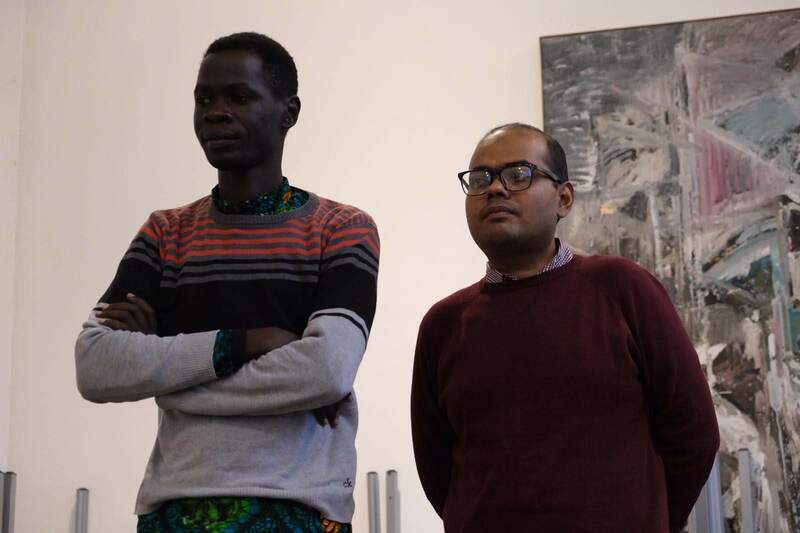 As a researcher from Belgium at our workshop explained in in her blog post foreigners have privileges than researchers from societies where research is being carried out. The ethics of compensation is, of course, unclear. On the one hand, participants should be fairly compensated for their time. For instance, an ethics board and the national council for research in Uganda has recently introduced a requirement that respondents who are asked to participate in research be compensated for their time and transport. In other words, it is the respondent's story being reproduced and retold for the foreign researcher's benefit. Why should a survivor of violence not benefit from her own life story? On the other hand, the amounts offered by foreign researchers have set an unsustainable precedent that has virtually undone independent local researchers. ‘The black market’ is used here as a metaphor for the complex social and economic relations that underpin these interactions in sensitive contexts where fieldwork is unregulated or researchers rarely adhere to local rules beyond filling out bureaucratic forms. The fact that these actors depend on their available finances also means that they possess different capabilities. For instance, a PhD student might have more limited finances than a senior researcher. The industry of knowledge production is rarely regulated in conflict or post-conflict contexts. The person with the money, mostly the outside senior researcher, not only sets the standards and determines what questions are asked but also determines how money will be used, who is paid for what, and how much. In most of these sensitive contexts, local or national governments are fragile or non-existent and therefore aid agencies, humanitarian organizations, local non-governmental organizations, individual academics or consultants regulate the payment to the service providers. In a study conducted in Northern Uganda, a colleague aptly called it the “black market of knowledge production”. In another study and during a workshop held at Ghent University in Belgium in October 2018 with researchers from Belgium, Rwanda, Germany, United Kingdom and invited researchers from Kazakhstan, Philippines, Uganda, Peru, Bangladesh, Burundi, Democratic Republic of Congo, and Rwanda, the role of money in knowledge production was debated. These debates raised some questions that we need to reflect on because they affect the quality of knowledge produced and the different people involved in the chain of producing this knowledge. The first question was from a Rwandan participant who asked: “Who should regulate and determine how different service providers should be paid?” International experts in most cases are paid by sending agencies, they are put up in good hotels, and often have contracts that secure their jobs. As the colleague from Bangladesh mentioned, their assistants rarely have any paperwork or even a reference letter to show that they took part in producing this information or a title of a project to put on their CV. Another participant from the Philippines, the head of a local organization, explained that, in their case, the motive to collaborate with an outside researcher goes beyond monetary rewards. He explained that they prefer that the researcher, for example, performs certain tasks such as training members of the community-based organizations in specific skills. Others prefer that the researcher donates any amount of their choice to the organization, or help in advocacy campaigns that are ongoing when they are visiting. Yet a researcher from Uganda pointed to the fact that, due to high numbers of research projects that were implemented in one area and often required the same respondents, the local research council introduced a requirement that the women or respondents who are asked to participate in a study while they could have been working should be compensated for their time. A senior researcher from Belgium immediately reacted by denouncing such a practice as it is ‘buying’ research, which often happens, especially when the researcher is short on time or for other reasons. However, researchers at the workshop agreed that if one has made an effort to travel to the venue of the focus group or interview, they should be reimbursed for their transportation costs. The assumption here is that participating in research is voluntary and that people in these contexts who have suffered often want to tell their stories. Yet, given this is the ‘black market’, there are still questions that we need to ask about how research is understood by different participants and especially those who feel that their participation should be reimbursed. In other words, a second question emerged, since the policy maker, the journalist and the academic are compensated in different ways (albeit in their diverse fields of interest) for reproducing and retelling these stories, why shouldn’t the owner of the story benefit from her/his own story? There are also huge gaps in law and regulations regarding knowledge generation from both the sending country of the researcher and the receiving country. It emerged from the workshop that researchers are more keen to follow legislation from their own countries, while flouting laws in receiving countries. Such laws, for example relating to data storage and sharing, have become bones of contention. It was noted that in some cases these experts will sometimes only follow ethical rules from their funding or home institutions rather than respecting local regulations on research. Knowledge produced on the ‘black market’ is also prone to imposters who pretend to be research assistants or fixers and often end up taking the money and affecting the project negatively. In this space, there are researchers who have very little skills and capacities to produce, collect and disseminate knowledge in such complex situations and who often end up producing questionable reports. This is often evident in journalism because it is live and available to the public, but the same thing also happens away from the limelight in academia and policy reports. It is also true that in these fragile contexts, there are research assistants who do not have the necessary research skills, or take advantage of the naïve Western researcher and take their money. Thus as we try to implement the spirit of SDG 17, we need to investigate what money means in these partnerships of producing knowledge that affect all other SDGs across the board and among the different actors. As one researcher from Belgium explained, for him the question of money is always awkward during research. Yet it is one of those important parts of research that everyone has to handle, one that gives power to each researcher from outside. In his book African Friends and Money Matters, David Maranz attempts to generalize some cultural attitudes that are common in different African countries, such as lack of planning budgets or spending on one’s family or community, and how they differ from Westerners’ understanding concerning the use of money. While one can neither generalize a whole continent that has many countries and hundreds of cultures, nor the attitudes of all Westerners, he does make a valid point: Africans and Europeans understand the use of money and material wealth differently. Often, a research assistant from an African context might not complain or praise the Western researcher for the pay. The Westerner might go on, feeling that he or she reimbursed the person as required or even better than other jobs are paying locally. When one pushes to negotiate, a researcher from outside might feel as if they are being taken advantage of, and suspect they have been overcharged. Either way, the myths, awkwardness and discomfort around money in the knowledge production ‘black market’ need to be unpacked and discussed. While sharing her experience, one of the Belgian participants explained that at first she had not understood what the collaborator in Uganda meant when he insisted that what she paid was not a salary but a “motivation”. Despite the fact that the Belgian researcher felt she had paid a high amount, the collaborator insisted that they could not talk of ‘salary’ since there was no contract or formal negotiation process though its not always acknowledged by the researcher. For example, Dr. Jeroen Cuvelier in his piece reminds us that sometimes Anthropologists “portray themselves as being detached from money is probably in large part due to anthropology’s deeply entrenched disciplinary culture.”. Participants concluded that money is seen in some circles as a corruptor of vital relations necessary in processes of knowledge production. In other contexts, it may be seen as an enabler and leveler of expectations of respondents and knowledge brokers in this process of knowledge production. Thus money and other forms of compensations should be discussed in a more transparent manner so as to demystify its meaning in knowledge production. Gondwe, D. K. "African Friends and Money Matters. David Maranz." AFRICA TODAY-BLOOMINGTON- 50, no. 2 (2003): 108-109. Cuvelier, Jeroen. “A look behind the scenes of Lubumbashi’s research industry (part two).” Governance in Conflict (GIC network) Blog. Accessed March 16, 2019. https://www.gicnetwork.be/silent-voices-blog/. Maliba, Stéphane. “ A look behind the scenes of Lubumbashi’s research industry (part one).” Governance in Conflict (GIC network) Blog. Accessed March 15, 2019. https://www.gicnetwork.be/a-look-behind-the-scenes-of-lubumbashis-research-industry-part-one/. Willems, Eva. “White female privilege? How fieldwork is shaped by who we are and where we come from.” Governance in Conflict (GIC network) Blog. Accessed March 15, 2019. https://www.gicnetwork.be/white-female-privilege/. Thanks for sharing! I have always done research projects as a job without looking deep into the intricate factors interwoven but since we started the ‘Gulu Book Club’ forum, am learning everyday. Probably because I have also invested a lot of my time in management and administration and participated in research only during my job contract breaks. Where and how can I access the Ethics Board and National Council Regulations on compensation? Just like the Belgium researcher, I also find the question of money very awkward and yet it is a determinant factor for me to participate or not. I don’t want to be exploited and want to know more about research ethical rules and regulations. Otherwise, this was a great insight for me. Good job!! !